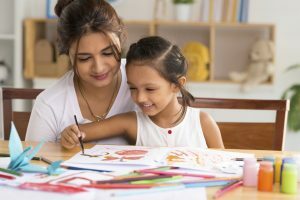 Recreational therapy will teach a child a variety of concepts that include aspects such as building relationships, how to exercise, the importance of well-balanced eating, and safety. At Connections Therapy Center, we offer a wide range of recreational therapy services. We have a holistic approach to therapy, which involves steps to improve the overall health of a child. Recreational therapy will teach a child a variety of concepts that include aspects such as building relationships, how to exercise, the importance of well-balanced eating, and safety. Since we want every child to have fun, our recreational therapists work with each child to identify their specific interests. Here are three types of recreational therapy for children. This entry was posted on Friday, April 13th, 2018	at 1:19 pm	. You can follow any responses to this entry through the RSS 2.0 feed. Both comments and pings are currently closed.